How can university CISOs keep cyber threats at bay? © Copyright 2019 CPI All rights reserved While the publishers have made every effort to ensure the accuracy of all information in this magazine, they will not be held responsible for any errors therein. The passwords of millions of Facebook users had their account passwords stored in plain text and searchable by thousands of Facebook employees, according to a report. The passwords were unencrypted and were accessible to as many as 20,000 Facebook employees and dated back as early as 2012, cybersecurity blog KrebsOnSecurity, which first reported the security misstep. Facebook has confirmed the issue and discovered it in January during a “routine security review.” The company acknowledged that a bug in its password management systems had caused hundreds of millions of user passwords for Facebook, Facebook Lite, and Instagram to be stored as plaintext in an internal platform. ManageEngine has announced that it has introduced user and entity behaviour analytics (UEBA) into its SIEM solution, Log360. With score-based risk assessment, threat corroboration, anomaly detection powered by machine learning, and other new capabilities, the Log360 UEBA addon helps security professionals identify, qualify, and investigate internal threats and anomalies by extracting more information from logs for better context. “In today’s IT security landscape, The Dubai Police has reportedly made rigid alert rules and conventional threat over 300 arrests in Dubai with the help detection systems no longer make the of AI-powered CCTV cameras. cut. The need of the hour is a system According to local media reports, that can learn and adapt to continuous Dubai Police has nabbed 319 suspects change,” said Manikandan Thangaraj, across the emirate last year. director of programme management at The AI-powered cameras are part of ManageEngine. “Log360 UEBA does just Dubai Police’s Oyoon (eyes) project, which that and improves the accuracy of threat has approximately 5,000 cameras covering detection, helping SOC personnel a number of tourist sites, qualify and investigate public transportation threats that actually merit and traffic. investigation.” The AI network Log360 UEBA monitors connects all the user activity captured security cameras in logs to identify across the city behavioural changes. and enables SAUDI CEOS ARE PREPARED FOR User activities that them to relay A CYBER-ATTACK ON THEIR would otherwise go live images of ORGANISATION unnoticed are flagged, security breaches reducing the time it takes to to the Central Source: KPMG Al Fozan & Partners detect and respond to threats. Command Centre. “To be clear, these passwords were never visible to anyone outside of Facebook and we have found no evidence to date that anyone internally abused or improperly accessed them,” the company wrote in a blog post. Facebook says the issue has been resolved and it will alert “hundreds of millions” of people whose passwords were visible. The company has also reportedly set up a small task force to conduct a broadbased review of anywhere this might be happening. It said that it would enforce a password re-set if its taskforce looking into the issue uncovered abuse of the login credentials. First Lieutenant Ali Al Shehi from Criminal Investigation Department highlighted that the Oyoon project will tackle crimes in the city as using AI and latest technologies will help realise zero crimes in the future. The network is continuously being developed to meet the Dubai 2021 Vision requirements of a smart city, according to Dubai Police. On average, organisations that investigate one or more potential security incidents each month spend 48 days a year (four days a month) investigating them, according to the survey. “If IT managers have defense-in-depth with EDR, they can also investigate an incident more quickly and use the resulting threat intelligence to help find the same infection across an estate. Once cybercriminals know certain types of attacks work, they typically replicate them within organizations. Uncovering and blocking attack patterns would help reduce the number of days IT managers spend investigating potential incidents,” said Wisniewski. Institute noted that student between the age of 14-18 across seven countries in the Middle East and Europe are interested in a career in IT. A majority of students across EMEA had heard of cybersecurity (81 percent), the results show that those countries with higher awareness of the subject could potentially have a competitive advantage when it comes to building out talent in the longer term, the report noted. SANS also highlighted that given the prolific nature of cybersecurity and the media attention it attracts today, it is perhaps surprising that no country achieved 100 percent awareness. It also found that 32 percent of students across EMEA are considering IT as one of their top five career choices. “We are currently on the brink of a cybersecurity crisis. By 2020, there will be approximately 24 billion Internetconnected devices installed across the world. However, reports show that in the next year or two, unfilled cybersecurity job openings globally will run into several millions, meaning we are severely short of professionals to secure all those devices and systems we are putting online. Given the enthusiasm and aptitude of the iGeneration for digital technologies, the answer to our cyber crisis could lie in enthusing and educating younger generations about cybersecurity now, to arm our future workforce,” said Ned Baltagi, managing director, Middle East, SANS Institute. example, be interested in getting their hands on the sensitive data they store. It is an issue of particular importance in UAE given the huge expansion of the university sector in the Emirates over the past two decades. Like some other GCC nations, the country has seen the growth of its own higher education institutions as well as the launch of campuses linked to overseas universities, such as the University of Birmingham Dubai and New York University Abu Dhabi. Morten Illum, vice president, EMEA, Aruba, a Hewlett-Packard company, highlights several reasons why advances in technology have created new vulnerabilities. According to Ilum, while mobile connectivity, the cloud and IoT (which may be represented at universities by everything from security cameras to smart laboratory equipment) have brought benefits, they have also “provided hackers with a plethora of opportunities” to exploit gaps in cyber defences. The explosion of IoT devices has left organisations of all kinds vulnerable to infected devices, says Illum, adding that this is particularly true of universities, which rely heavily on bring-your-owndevice (BYOD) environments. “Educational institutions typically have vast campuses and user bases, a large variety of devices trying to connect to their networks at any given time, and a huge amount of data passing through their systems, all of which presents a very real security risk,” he says. “In addition, younger generations (i.e. students) tend to be early adopters of new technologies, which means that their odds of being exposed to scams and other social engineering attacks is significantly increased. “It is also not just their own members that universities need to worry about. By their nature, universities are intended to enable frequent international collaboration and will regularly host global visitors, all of whom want to connect to the network. how quickly patterns of network uses are changing, and then adapt its policies in real-time.” Illum suggests that universities employ behavioural analytics to enable them to analyse their entire network collectively. “Machine learning can be employed to find the small changes in activity that will highlight a likely breach, allowing institutions to avoid breaches that could result in a loss of personal information,” he explains. In a blog published in 2016 ResilientIQ’s Erin Brady said the universities and colleges should consider using a third-party vendor to carry out a risk audit and determine where vulnerabilities lie. Another key point, and one that many universities act upon by providing online advice to students and staff, is the need to educate users. “Universities must ensure they continue to remind users of the security risks, as well as the processes and tools that have been put in place to prevent them – but in a way that doesn’t position IT as a barrier,” says Illum. Bournemouth University’s Dr. Faily also points out that aside from the risk to the institution’s network, individual academics may be particularly vulnerable to fraudsters because of the amount of information about them that is available online. “Academics put their lives out there because they want to find collaborators,” he says, adding that even personal details such as marital status may be found in a search, allowing hackers to build up a detailed knowledge of individuals. “It’s much easier to carry out a targeted attack on academics than [people] working in a commercial organisation making it more important for them to take a highly precautionary approach to cybersecurity,” says Faily. onventional wisdom says that once an attacker is in the system, moving laterally from network to network, the damage is already done. The adversary has found a way in and more than likely identified the data they’re after. They simply need to exfiltrate it—the last step of the kill chain—to land the final blow. In some scenarios, however, it’s what the attacker doesn’t do that could have a more devastating outcome on the enterprise. Data manipulation attacks—attacks in which adversaries don’t take data but instead make subtle, stealthy tweaks to data usually to elicit some type of gain—can be just as, if not more crippling for organizations than theft. The ability of attackers to manipulate and shift data around is a real threat, one that could cause widespread financial and even physical harm, if done successfully. “COMPANIES NEED TO SHIFT TOWARD INTELLIGENT SOLUTIONS THAT CAN HELP THEM BETTER PREDICT, PREVENT, DETECT, AND RESPOND TO THREATS.” irreversible is done. The MITRE ATT&CK Framework has generated buzz about across the industry lately for good reason. The knowledge base—a living, breathing breakdown of adversary TTPs and behaviours—outlines in great detail each phase of a cyber attack and the best methods for detecting and mitigating each technique. The framework can greatly help threat hunters looking to speed up their hunting cycle. While attackers may not necessarily leave the endpoint with data in these types of attacks, organizations would benefit from using endpoint detection and response tools to gain better visibility into behaviors and data movement. Organizations can also use file integrity monitoring solutions to identify and track real-time changes to files, folders, and other settings. Logging activity can also help but it’s not a silver bullet. IT teams need to develop internal controls to audit this information and ensure they constantly have eyes on the glass, triaging logs generated by their environment. Data manipulation attacks can have disastrous consequences and cause significant disruption to a business, country, or even the world in some circumstances. Being prepared is the first step to potentially limiting or preventing the impact of these attacks. 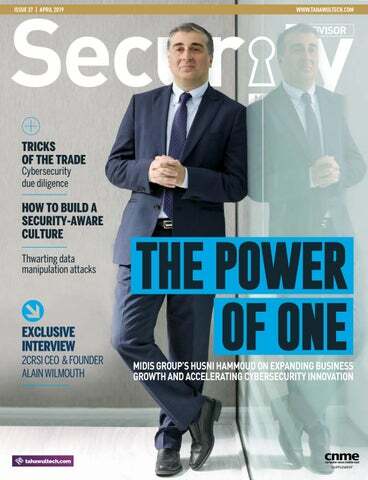 HUSNI HAMMOUD, MANAGING DIRECTOR FOR MIDDLE EAST, CEE AND TURKEY AT MIDIS GROUP HAS ENJOYED A SHARP TRAJECTORY OF SUCCESS IN HIS CAREER AND HAS PLAYED A KEY ROLE IN SUCCESSFULLY LEADING THE BUSINESS GROWTH OF MULTIPLE IT OPERATIONS AND CYBERSECURITY VENDORS UNDER THE COMPANY’S PORTFOLIO. “WE WANT TO PROVIDE ORGANISATIONS WITH END-TO-END SOLUTIONS ENABLING THEM TO ACHIEVE A HOLISTIC APPROACH TO SECURITY.” his knowledge and skills in technology and took up courses in software development, IT audit, industrial automation and cybersecurity. Graduating in 1990, Hammoud started his career at the Red Cross in Lebanon as the IT manager. He was responsible for establishing the IT function and operations at LRC, a role that lasted for almost two years. Following his stint at the Red Cross, Hammoud continued to pursue roles in technology and eventually set up his own business focused on industrial automation. business. “We are entering the era of the Internet of Things where everything will be interconnected, and data will be the fuel for accelerating business intelligence to help modern enterprises succeed.” With all these developments on the horizon, security will play an important role in technological evolution. “It’s important to remember that interoperability between multiple machines does not come without risks,” he says. “Organisations need to be ready for different kinds of threats from passive attacks where the perpetrator monitors and exploits your network; to active attacks where a cybercriminal is trying to break your defences outright.” Hammoud underlines that because of security threats like these can occur at a variety of levels, organisations need to set up security measures that provide multiple layers of defence against these risks. “This is why, through our cybersecurity partners – Barracuda Networks, Ivanti and Cradlepoint, we aim to assist regional firms from, both private and public sectors, in securing the different layers of their IT infrastructures,” he says. “We want to provide organisations with end-to-end solutions, enabling them to achieve a holistic approach to security.” Building on this promise, Hammoud says Midis Group will continue to grow its capabilities, expand its market reach and invest in the best skills during the course of 2019 and beyond. Another big focus for the company will be onboarding new solutions and vendors that it believes will cater to the evolving needs of enterprises in the region. “We want to bring in only the best solutions to help enterprises transform and secure their businesses. We always uphold the highest standards in our initiatives and we always challenge ourselves to exceed even our own expectations,” he says. teaching with an engaging, interactive activity and instant feedback. Space out your learning sessions — but not too much. According to one careful research study (Bahrick, Phelps, Roedinger), optimal recall occurred when retraining occurred at 30-day intervals. And don’t stop after one or two training sessions: make sure they’re regular. This approach is usually called microlearning. We know it is what employees want. But does it change employees’ security behaviour? Yes. Not all microlearning are equal Of course, short microlearning modules can be boring, irrelevant, and forgettable, too. So, it’s important to make training funny and appealing and tell stories. Humans love stories. This helps build a holistic understanding of corporate cybersecurity in real-world context. It’s designed to help people truly internalise how and why people make dumb mistakes, what happens when they do, and how to avoid it. It’s time to do away with the boring presentations that no one cares about. If you offer content with relatable characters and situations, your employees will learn how to help build a stronger corporate cybersecurity culture. AS SECURITY INCREASINGLY BECOMES A BOARDROOM ISSUE, CYBER RISKS SHOULD BE A FOCAL POINT IN M&A TALKS. SECURITY CORRESPONDENT DANIEL BARDSLEY SPEAKS TO INDUSTRY EXPERTS TO DISCUSS WHY CONDUCTING A CYBERSECURITY DUE DILIGENCE IS NECESSARY BEFORE SIGNING ON THE DOTTED LINE. n September last year, Colorado Timberline, an American printing company that worked in the promotions industry, posted a message on its website to say that it had ceased operations following a ransomware attack. The abrupt closure was not just bad news for the dozens of people who worked there – it was also a disappointing outcome for two private equity firms that, in 2017, had bought Colorado Timberline. A promising investment had quickly turned sour. There have been numerous highprofile examples of cyber breaches that came to light only after an acquisition. Among them is the leak involving 1.4 million users revealed after TripAdvisor had spent $200 million buying Viator in 2014. TripAdvisor’s share price suffered as a result. Such unfortunate cases illustrate the cyber risks associated with mergers and acquisitions, and bring to the fore the importance of cybersecurity due diligence, which involves carrying out a comprehensive audit of the cybersecurity status of a target company. “AS DATA PRIVACY PROTECTIONS HAVE BECOME MORE IMPORTANT AS A BUSINESS DIFFERENTIATOR AND AS REGULATORS HAVE INCREASED THEIR FOCUS ON THE PROTECTION OF CONSUMER AND EMPLOYEE DATA, CYBER DUE DILIGENCE IS INCREASINGLY BECOMING PERTINENT AMONG BUSINESSES.” of the potential acquisition’s intellectual property rights (IPR). “If the main driver of the acquisition is the IPR, cybersecurity due diligence is vital in ensuring that the buying company doesn’t walk out of the door,” says cybersecurity specialist James Arthur, who recently returned to work in the UK as head of cyber consulting for Grant Thornton after a five-year spell based in Dubai. vulnerabilities. Experts say that those without formal procedures in place, and that have not yet fallen victim in a significant way, may understand less about the threats. the company doing the acquiring say this could alter the price, or they make some other demand,” says Chabinsky. The cost of remedying the problem, and potential future liabilities, will be taken into account when the price of the acquisition is determined. Consequences can be significant: Verizon Communications reduced the price it paid for Yahoo by $350 million, and split future costs and liabilities, when two data breaches came to light. “I think that lawyers are increasingly finding themselves in a position to help sellers understand how the cybersecurity programme and resulting gaps might impact a deal, and what they should be putting in place prior to going to market,” says Chabinsky. Security problems may increase the costs associated with integrating or deploying technology after an acquisition, and these may affect the purchase price. A common outcome is that the purchasing company has a plan in place to remedy issues immediately after the acquisition is closed. In the five years that Arthur was based in the UAE, he carried out cybersecurity work across the GCC and elsewhere in the Middle East. From his experience, the importance of cybersecurity due diligence is increasingly being recognised in the region. “It is slowly but surely becoming a top priority for organisations,” he says. So, in the years to come, we can expect more businesses to be thinking about cybersecurity due diligence to ensure that there are no nasty surprises after they have opened their wallets for an acquisition. GLOBAL MEETS LOCAL IN HIS MOST RECENT VISIT TO DUBAI, 2CRSI FOUNDER AND CEO ALAIN WILMOUTH SAT DOWN WITH SECURITY ADVISOR ME TO DISCUSS THE COMPANYâ&#x20AC;&#x2122;S VISION TO BRING GLOBAL INNOVATIONS TO THE REGIONAL MARKET. “WE PLAN TO ROLL OUT INITIATIVES AROUND TRAINING AND KNOWLEDGE-SHARING TO HELP FOSTER LOCAL TALENTS WITH GLOBAL EXPERTISE.” hosting, and many other tasks that are not only energy efficient but also add an extra layer of security. We do this by making sure that our products are benchmarked against the highest international standards. We ensure that we meet all the requirements needed to attain all the necessary security certifications for every market we operate in. This makes our products not only high-quality, efficient and reliable but also secure. What can we expect from 2CRSI in the coming months? We are a very channel-focused vendor, so we aim to continue collaborating with our partners here in the region. In fact, we are working very closely with our distributors, with their wide-ranging expertise in the market and years of distribution experience, we believe that they are instrumental in helping us realise our vision in the region. In addition, 2CRSI firmly believes that expanding and imparting knowledge is the best way to fuel innovation no matter what industry you are in. That’s why a big focus for us in the coming months and beyond will be honing our expertise around consulting and research. In line with this, we plan to roll out initiatives around training and knowledge-sharing to help foster local talents with global expertise. he UAE is one of the rapidly advancing countries for digital transformation and competitiveness. In the 2018 IMD World Digital Competitiveness Ranking, the UAE ranked 17th and ahead of industrial leaders, such as Germany, Japan, France, China, Russia and Italy. While originally slower to adopt cloud technology than other regions in the world, more UAE business have made cloud computing a top 2019 priority to harness their untapped digital potential. In addition, IDC predicts that spending on cloud services in the region will quadruple in the next four years. risks and adopt holistic strategies to be protected fully in this new era of innovation. No one likes to think their employees could be their biggest threat, but, today, all companies should operate with zero trust when it comes to the access of vital company data. Automated, cloud access controls offer the best defense. MetaByte Technologies, a technology and consulting firm based in Dubai, recently hosted the UAE Leadership Forum that brought together executives from the region to discuss digital transformation and cybersecurity trends in the UAE and highlighted ERP Maestro cloud security technology for SAP for its competitive advantages. To learn more about ERP Maestro, contact MetaByte Technologies: info@meta-byte.com. LOVE IN THE TIME OF CYBERSECURITY MOBILE DATING APPS ARE INCREASINGLY GAINING POPULARITY TODAY AS THEY EFFORTLESSLY HELP CONNECT PEOPLE WHO SHARE SIMILAR INTERESTS THROUGH THE PUSH OF A BUTTON OR SWIPE OF A FINGER. HOWEVER, THE AMOUNT OF SENSITIVE PERSONAL INFORMATION THEY CONTAIN IS CAUSE FOR CONCERNS WHEN IT COMES TO CYBERSECURITY, DANIEL BARDSLEY REPORTS. western Africa,” he says. “The geographical mapping suggests the dating sites could start themselves to have checklists according to where people are supposed to come from and what the risk might be of fraud coming from these places.” Aside from location, other clues come from the pictures in a profile. Reverse image searches and other technology can indicate when these have been taken from the internet, and when this process is automated it could be an effective way to cut down on fraud. “One of the things that could be done by the websites is using the insight of the project of when photos are fictional or appropriated from other sites. They could work on using face-matching technology, which is widely available,” says Sorell. “And technology can be handy when it comes to the money transfer. It can identify the source and destination as potentially fraudulent. “You have got the romance side and the money-transfer side; both lend themselves to technological interventions.” Sorell also says there could be a use for pre-emptive technology to offer particular safeguards to protect individuals identified as vulnerable. So although the scammers will continue their malign activities, technology could in future make life much more difficult for them. Celebrating the 10th anniversary of Partner Excellence Awards, Reseller Middle East and TahawulTech.com is proud to present the 2019 edition on 30th April. The success of the Awards over the last decade is a testament to the triumphs of the regional channel industry. Every year, the event showcases and applauds partner accomplishments and business excellence. have never been higher. And top of the list of risks is cyber security – a disruptive force. Cybercrime is now a $600 billion problem globally, and showing no signs of abating. 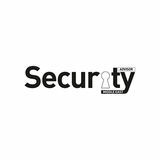 The right security keeps your business running, helps ensure customer trust, and avoids scrutiny by government, media, and other organisations. But poor security can wreak devastation on your firm’s standing, its operations and finances. reason? Poor security network printers now hygiene. Many devices, represent high including printers, risk for many are left unsecured companies. With or are not a proliferation of updated with the devices, many proper security companies have ORGANISATIONS HAVE EXPERIENCED policies. Hackers a blind-spot in INCREASE IN ENDPOINT SECURITY know this and their security RISKS IN THE PAST 12 MONTHS frequently target strategies, and printers. In fact, don’t realise that seven out of 10 selecting the PC organisations report or printer to buy is their endpoint security risk actually the first security increased significantly during choice they must make. the previous 12 months and trust in A robust Device-as-a-Service (DaaS) antivirus software dropped considerably subscription model enables a company as 64 percent of companies experienced to ensure adherence to security an endpoint attack with 57 percent of protocols and automatically update endpoint attacks missed by anti-virus devices to keep them protected while while trust in antivirus software dropped reducing the time and labor required considerably as it minimises protection to manage them. DaaS also helps and maximises false positives for combat the risks of human error such businesses. as phishing or sending email to the Today’s IT threats strike businesses wrong recipient, which accounted for 17 from many places and from all angles. percent of security breaches last year. Security must cover every entry point With the number of connected devices with multiple layers of protection. dramatically growing, consumers and Embedded security in endpoint devices organisations alike are producing and is an investment that small business consuming an increasing amount of and enterprises alike must consider to valuable data - making devices at the properly protect data, detect malware edge vulnerable and attractive targets and recover potentially compromised for security breaches. data. For instance, both HP PCs and HP Analyst firms like IDC tell us there will printers are equipped to thwart attacks be up to 80 billion connected devices by as they are embedded with ‘self-healing’ 2025. Yet every 4.2 seconds, a new piece technologies that automatically install of malware emerges. In this context, updates to ensure the device and the every device decision is a security network containing valuable data and decision, and ultimately, a decision information are secure at all times. about the future of a company’s brand. Your customers, your employees and Leave security to security experts your entire supply chain demand you Security is not a place to take risks, act as a responsible steward of their especially as employee mobility and data, treating personal information with lifestyle shifts create new vulnerabilities scrupulous sensitivity and stringent with each device that enters or leaves security protocols. the office. Aging PCs that rely on Is your brand living up their security software and unsecured expectations? â&#x20AC;&#x153;IT TAKES THE QUIRKINESS OF HUMANS TO EXPLORE AVENUES THAT AI MAY NOT KNOW ABOUT OR UNDERSTAND.â&#x20AC;? and globally effective cybersecurity. This should not come as a surprise. Human intelligence (humint) is a vital part of penetration testing, for example, as well as software testing. It takes the quirkiness of humans to explore avenues that AI may not know about or understand. And just as it takes a thief to catch a thief, it still takes a human security expert to get inside the mindset of an attacker. So, AI and humans must work together. AI applies power and programming, while humint contributes judgment, imagination, and creativity. Meanwhile, AI continues to evolve. By building up vast banks of data on threats and best practices, AI develops its own faculties of judgment. It can describe, diagnose, and propose solutions for given threat situations. It starts to acquire human-like powers of insight. And possibly human-like problems as well. Researchers have already noted how inconsistencies can seem to arise spontaneously in very large software systems. There may even be a natural limit to the level to which artificial intelligence can rise in cybersecurity. Above this level, they may become too much like human beings, losing their advantages of reliability and turning into entities that make the same mistakes as human beings – but faster. Only time will tell. For the moment, however, both AI and humint are essential, working together but each bringing their own strengths. UP AND AWAY DRAGAN PETKOVIC, SECURITY PRODUCT LEADER ECEMEA, ORACLE, DISCUSSES WHY CLOUD SECURITY IS NOW MORE IMPORTANT THAN EVER AND WHY COMPANIES MUST DEFEND THEMSELVES AT EVERY LAYER OF THEIR IT ENVIRONMENT. overtime. With that being said, the time to consider innovating your security posture is now. Recent data breaches have largely been attributed to human error or cloud account misconfigurations. These attacks can be fiscally devastating, ruin brand reputation, and can even mark the end of a C-level executive’s time at the company. The stakes are high. Breaches and Regulations Everywhere you look there seems to be a new breach on the news, exposing sensitive personal information or company financial data. This issue is not unique to any industry and is a primary reason security has become a priority for so many organisations. Not to mention, harsh compliance regulations are continually cracking down on corporations. Organisations simply cannot afford to cut corners in today’s hybrid cloud environment. What can companies do to increase their security posture and remain compliant with regulations such as GDPR? First and foremost, “Transparency is key,” as Akshay Bhargava, vice president of the cloud business group at Oracle, mentions in 5 Strategic Priorities for Chief Security Officers in 2018. Bhargava later goes on to explain the importance of an incidence response plan, which can be used to quickly respond to an attack and minimise the damage. Companies should explore cloud security options that can help them better monitor their environments and protect them in the event of an attack. When working to comply with these regulations, it also important to maintain visibility into your entire cloud and on premises environment. 7% of respondents in the recent Oracle and KPMG Cloud Threat Report (CTR) reported having a cloud-first orientation within their organisation. The cloud is here to stay. However, with widespread adoption, comes an expanding list of challenges and new considerations. Customers rapidly adopting the cloud must also consider how their security solutions can keep pace. “COMPANIES NEED TO SHIFT TOWARD INTELLIGENT SOLUTIONS THAT CAN HELP THEM BETTER PREDICT, PREVENT, DETECT, AND RESPOND TO THREATS.” landscape is diverse and hackers aren’t always sitting in a dark room millions of miles away. They are everywhere and they are after your data. Attacks can be brought on by nation-states, cybercriminals, and even insiders. Organisations face a wide range of threats including malware, phishing, and theft of credentials. Companies must defend themselves at every layer of their environment. They must also turn to a more Identity driven approach for cybersecurity. By shifting the focus to identity, companies have more control to isolate root cause of a breach or attack, especially those carried out by an insider or by a hacker using stolen, but authorised credentials. Tracking a user’s normal behaviour enables cutting edge technologies to automatically take action against anomalous behavior by sending out a Multi-Factor Authentication code to a user’s phone. Building a Defense Each organisation has a unique journey to the cloud. They must also discover the security solutions that will work best to protect their environment. As cybersecurity threats continue to rise, qualified talent has not been able to scale. Simply too many alerts and not enough expertise to keep up. Companies need to shift toward intelligent solutions that can help them better predict, prevent, detect, and respond to threats. Creating an innovative security environment allows you to gain visibility and intelligence - it is a vital component in the battle of cybersecurity. GETTING TO KNOW SANJAY ZAVERI, REGIONAL MARKETING MANAGER – MIDDLE EAST, GARTNER, ON HIS LIFE INSIDE AND OUTSIDE THE OFFICE. WHAT IS THE FIRST THING YOU DO WHEN YOU ARE AT YOUR OFFICE DESK? A QUICK CATCH UP AND FRIENDLY BANTER WITH MY COLLEAGUES FOR A POSITIVE START TO EVERYONE’S DAY. HOW OFTEN DO YOU CHECK YOUR SOCIAL MEDIA ACCOUNTS? I CHECK LINKEDIN AND TWITTER EVERY COUPLE OF HOURS AND MORE IF WE’RE RUNNING SPECIFIC SOCIAL MEDIA CAMPAIGNS. WHAT’S THE BEST PART OF YOUR JOB? MEETING NEW PEOPLE FROM THE INDUSTRY AND WORKING WITH MY AMAZING COLLEAGUES. CAN YOU NAME ONE DEVICE OR APP THAT YOU WISH EXISTS RIGHT NOW? EARBUDS THAT CAN SEAMLESSLY SWITCH BETWEEN MULTIPLE PHONES AND LAPTOPS – IF YOU KNOW OF ONE, LET ME KNOW! WHEN DID YOU GET YOUR VERY FIRST MOBILE PHONE? I GOT MY FIRST-EVER MOBILE PHONE IN 1999, IT WAS AN ERICSSON. IF YOU’RE NOT WORKING IN THE TECH/SECURITY INDUSTRY, WHERE WOULD YOU BE? A CONSULTANT TO COMPANIES LOOKING TO AMPLIFY THEIR MARKETING REACH HERE IN THE REGION. WHAT’S THE LAST THING YOU DO BEFORE YOU LEAVE THE OFFICE? PREPARE THE NEXT DAY’S ACTION ITEMS. ONLINE EDITOR ADELLE GERONIMO SHARES HER VIEWS ON THE LATEST DEVELOPMENTS IN THE SECURITY LANDSCAPE. create skilled security practitioners at the same rate as the speedy pace of digital transformation. More than investing in new technologies such as automation and artificial intelligence, there is a big opportunity for enterprises and security vendors alike to diversify ways in plugging the security skills gap. For one, organisations can look into partnering with universities to amp up interests among undergraduate students to take up a career in IT security. In fact, a recent study by security training and certifications firm SANS Institute found that a significant number of students in the UAE and Saudi Arabia are looking at IT, including cybersecurity, as a prospective career. Security firms have an opportunity to promote cybersecurity as a career path and educate the next-generation of professionals on its importance in the digital world. A simple, yet often overlooked solution as well is retraining current IT staff. Instead of struggling to find new members for the security teams, organisations should seek out current employees who already possess the basic IT expertise and business acumen, and consider investing in upskilling them. Unless we take action now, we risk falling behind in the battle for cybersecurity, putting organisations from across the board in jeopardy. in-memory computing solution built with a modular design to scale easily and economically, turning astronomical data growth into real-time insights.